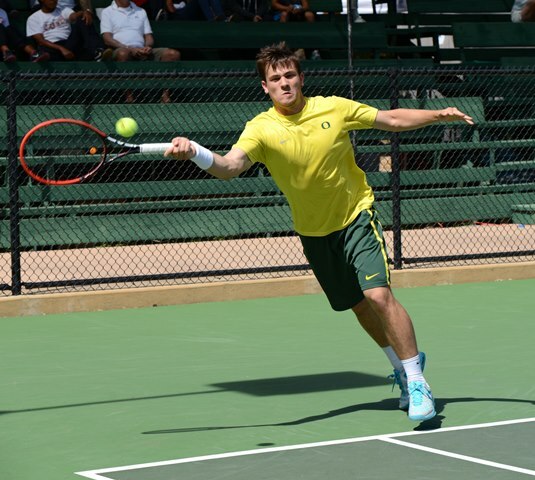 OJAI, Calif. – Fifth-seeded UTAH and seventh-seeded OREGON advanced to the second round of the Pac-12 Men’s Tennis Championship tournament after winning their team matches on Wednesday. Utah will take on No. 4 CALIFORNIA on Thursday at 11 a.m. PT while Oregon faces No. 3 STANFORD at 2 p.m. PT. 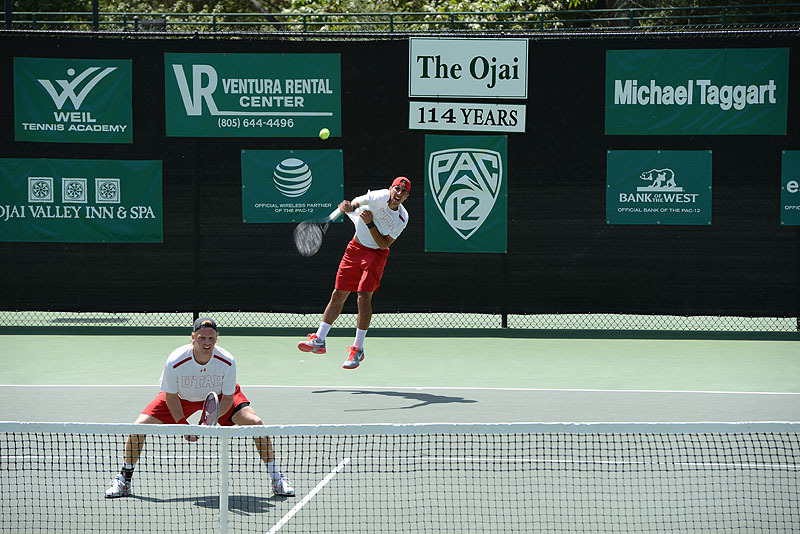 play to defeat Wildcat duo Naoki Takeda and Sumeet Shinde, 8-6, to also clinch the doubles point for Utah after Ben Tasevac and Devin Lane defeated Arizona’s Mario Urquidi and Thompson, 8-2. Takeda retired his singles match and Ute Matt Cowley downed Wildcat Robin Chou, 6-1, 6-2, in the sixth slot to give Utah the three singles points needed to win the match. Oregon had a tougher match later in the afternoon against Washington, securing the doubles point but requiring two three-set victories to clinch the match, 4-2. UW’s Emmett Egger and Jeff Hawke knocked off the UO pairing of Robin Cambier and Kevin Farin on court one, but Oregon’s Daniel Sardu and Jayson Amos took the court three doubles win and teammates Daan Maasland and Joey Swaysland took the court two victory for the doubles point. Cambier and Amos defeated their singles opponents in straight sets, but Max Manthou and Vik Farkas picked up two singles victories for the Huskies to pressure the Ducks. 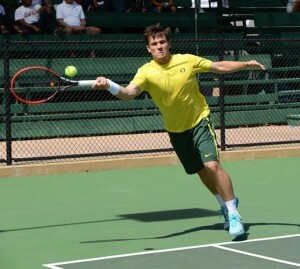 Maasland fought back with a 6-3, 3-6, 6-3 win over UW’s Gal Hakak to clinch the !nal point for the Ducks in a 4-2 victory.